.. found these last night. All around the 3 inch mark. 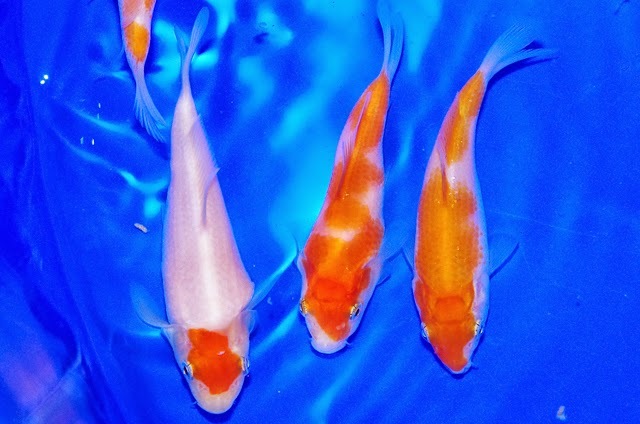 The kohaku on the righ interests me. the red on the head is a different intensity to the red on the body, which I think is probably a development risk. the pattern is angular, and I'm not sure how that will look once the fish grows. Front half is great; rear half, terrible! 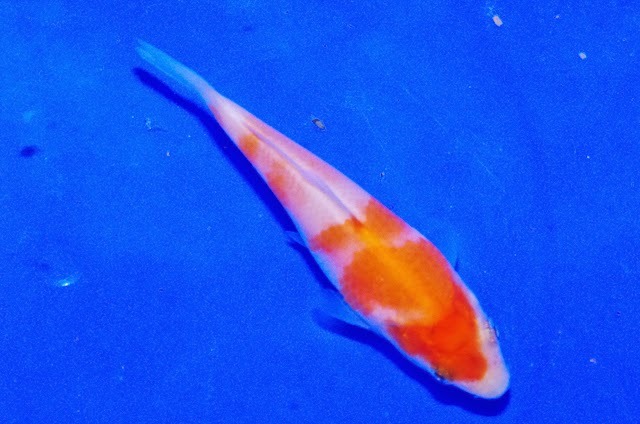 The only reason I've hung onto this one is because there's some underlying red on the rear half - and this kohaku will be transformed if it comes through. I suspect it won't though - but worth a punt. clean fins and pattern potential . I have other superior tancho, but will hang onto this one until it's much larger. It's so difficult to get a koi like that, and the skin shines bright. 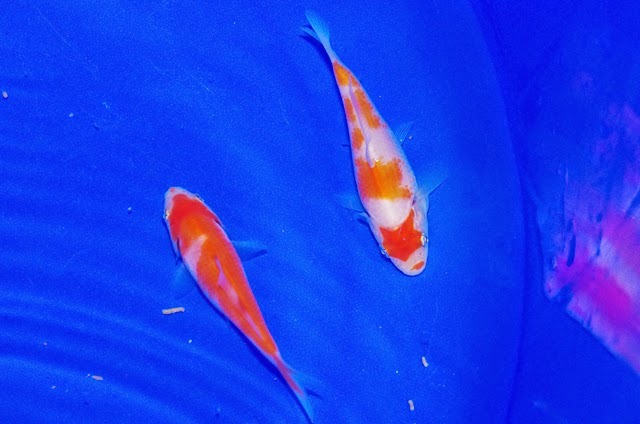 Quality of the red on the two kohaku on the right is ok but I have others with superior sashi and kiwa at this size. Lets see how they get on. Finished the vortex tank off this evening, which is good job done; pics to follow when I get a chance over the next few days.